Our Grade 5 and 6 classes recently made paper mache bowls. They were inspired by the work of Artist Juliet Bawden. They were constructed using a balloon as a mould and cardboard strips or egg carton pieces as “feet” for the bowls. 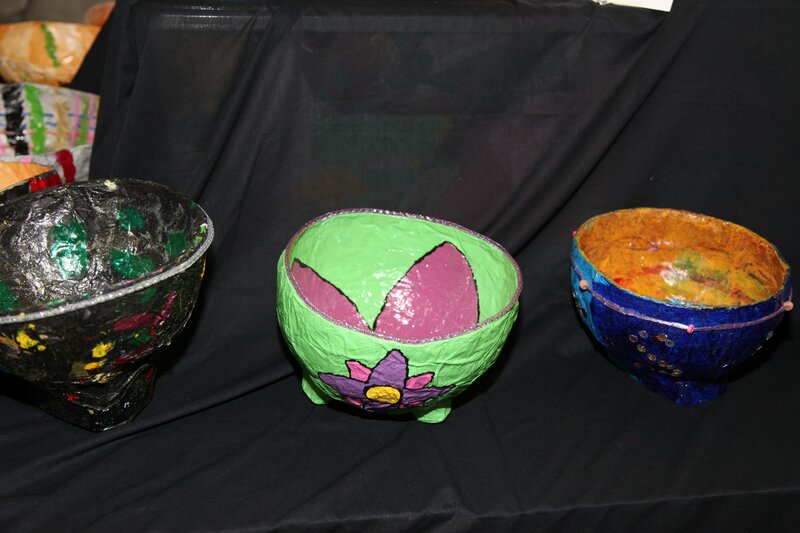 The completed paper mache bowls were painted, glossed and decorated. These were displayed at our annual EXPO Night which was held during Education week here in Victoria. 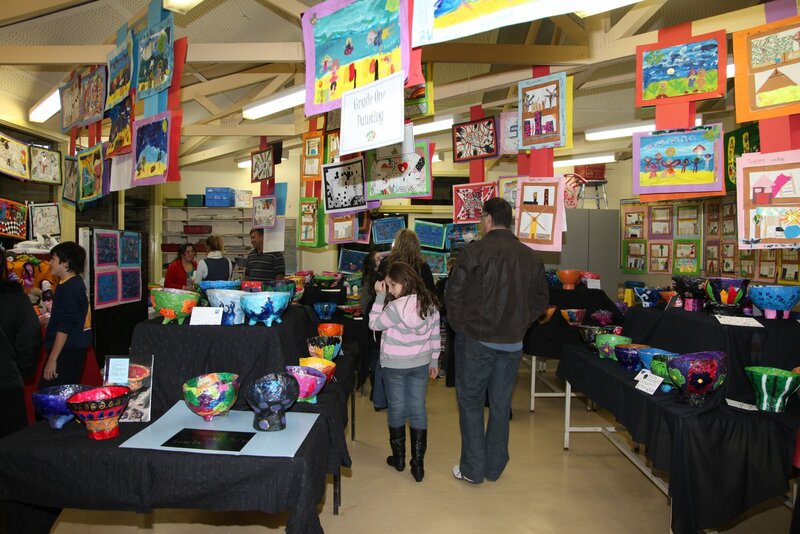 We were pleased that so many families visited the Art Room and admired the student artwork. 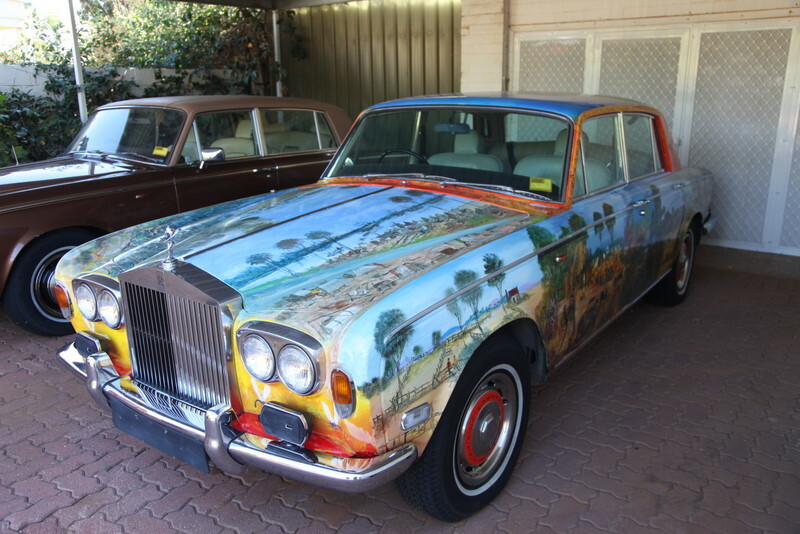 One of the highlights of my recent travels was the visit to Australian artist Pro Hart’s gallery in Broken Hill, New South Wales. 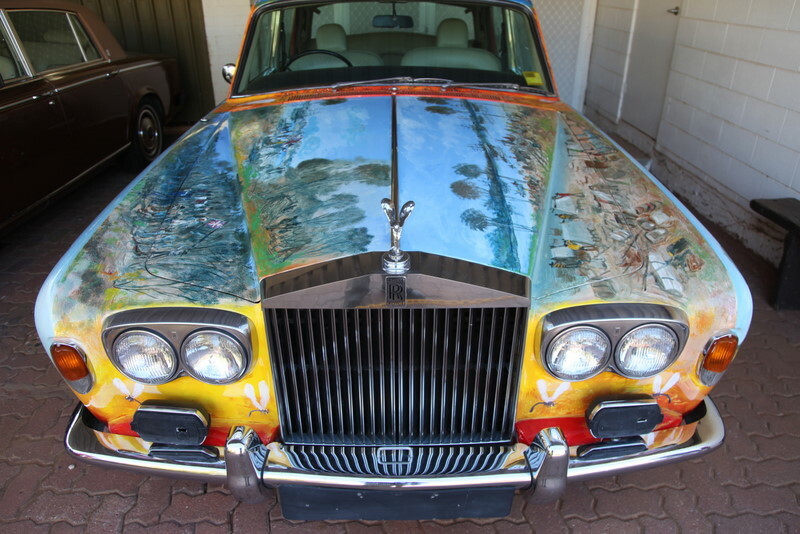 Kevin Charles, or as he was commonly known, Pro Hart( born 1928 and died 2006) loved Rolls Royce cars and owned several, one of which he painted in his individual style. Also pictured is his lunch box from his mining days. 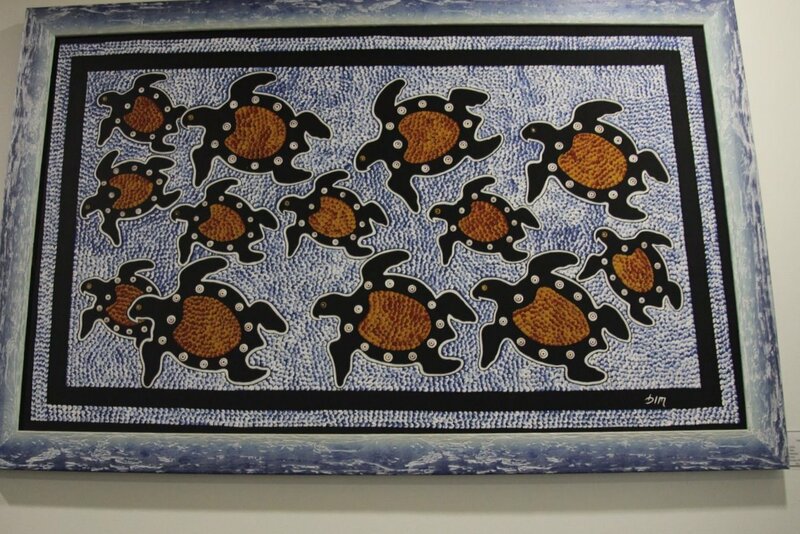 “Turtles” by Artist Don Garling was photographed in the foyer of our hotel, Gagudju Crocodile Hotel in Kakadu National Park. On March 16th I ventured around Australia, or most of it, and returned yesterday after travelling 15,950 Kilometres. To say it was the opportunity of a lifetime would not be exaggerating. I would like to go again some time though when fast Internet access becomes available throughout more of the country regions and it would be easy to keep a travel blog. I have some stunning photos and learnt so much history and geography that I will try to share some of that on this blog before I return to school on May 18th. 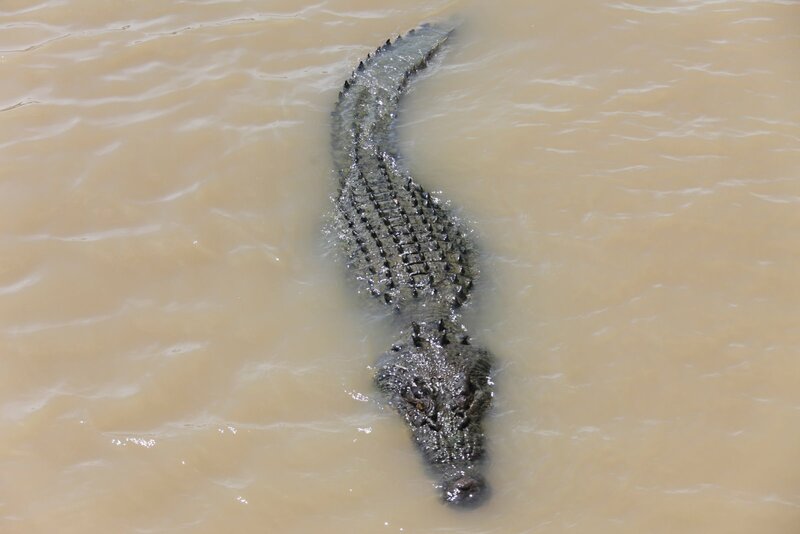 Salt Water Crocodiles are fed on the Jumping Crocodiles Cruise at Adelaide River.This old timer has only one whole leg, the others having been bitten off by other crocs in fights over territory and croc girlfriends. I wrote this post on April 2nd but didn’t publish it until now. The internet access I had hoped for on my trip just wasn’t available. Hopefully it will be next time. 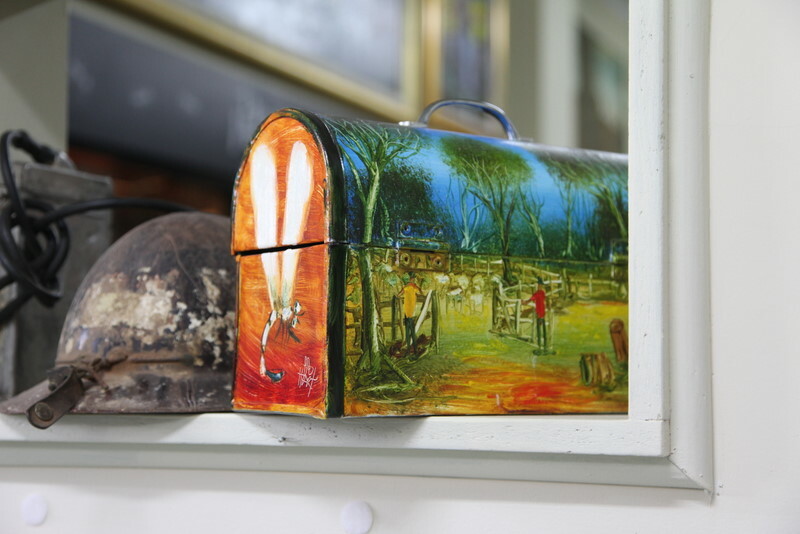 Yvonne Osborn, Visual Arts teacher at TLPS, (travelling Australia).